More Air Traffic Controllers Caught Sleeping; FAA Vows To Fix Problem : The Two-Way There have now been at least five incidents. 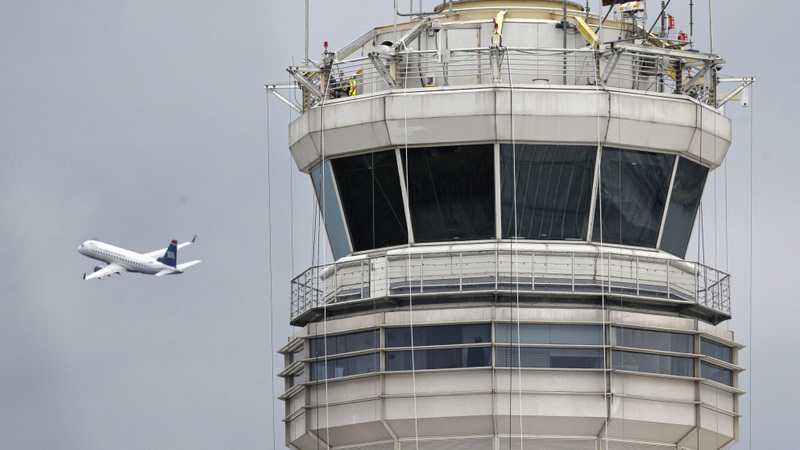 The FAA has ordered changes in staffing, and Transportation Secretary Ray LaHood says his agency "will not sleep until we can guarantee that there's good safety in the control towers." The control tower at Washington's Ronald Reagan National Airport, where the first case of a sleeping controller was reported. Hank Krakowski, head of the Federal Aviation Administration's Air Traffic Organization has resigned. We've have more about that here. By The Associated Press' count, we're up to at least five incidents in recent weeks in which air traffic controllers at major airports were apparently sleeping in the early morning hours as planes were coming in for landings. The latest case happened Wednesday, the AP says, when "a medical flight carrying at least three people landed at Reno-Tahoe International Airport in Nevada without assistance because the pilot was unable to raise a controller in the airport tower. FAA said in a statement that the controller, who has been suspended, had fallen asleep." Another controller allegedly fell asleep on the job at Seattle's Boeing Field-King County International on Monday. The Reno Gazette-Journal reports this morning that the Reno incident "revealed the Federal Aviation Administration reneged on its promise to have two controllers working overnight." Now, the FAA says it has not only again suspended a controller for allegedly napping, but has also ordered that a second controller be on duty at 26 airports and a radar facility that previously had been staffed with just one person in some of the overnight hours. On ABC's World News last night, Transportation Secretary Ray LaHood said that his agency "we will not sleep until we can guarantee that there's good safety in the control towers." We've posted about two of the earlier incidents here and here.